In love with Formula 1: Belgian GP: Grosjean made it on the podium in addition to the Mercedes duo! Belgian GP: Grosjean made it on the podium in addition to the Mercedes duo! The sun was still shining when it was time for the Belgian grand prix. It was windier than on the previous days but against all odds there was no sign of rain! Hulkenberg in his Force India faced problems already before the formation lap and he reported his team he was losing power. The German drove to his grid slot but was unable to start so there was a new formation lap. Sainz in his Toro Rosso had problems as well and the Spaniard was to start to the race from the pits. Kimi had dropped down to P16 due to a gearbox change so another setback for the Iceman. Hamilton took a superb start from pole and kept his lead. Perez in his Force India had a rocket start as well and the Mexican made his way up to P2 and for a second it seemed that he could actually challenge Hamilton for the lead. Bottas got a poor start and he lost a position at the start dropping 4th. Rosberg also had a bad start and he dropped down to P5. Ricciardo in his Red Bull jumped 3rd at the start. Already on the opening lap it was obvious that there was something wrong with Williams´ race pace. In no time Bottas had to surrender first to Rosberg and then Vettel. Ricciardo was the first top driver to pit, which happened already on lap 8, much earlier than I had expected. Force India responded immediately by taking Perez in a lap later. Also Bottas came in but it turned out to be a disasterous pit stop for the Finn... Williams blew up big time as Bottas was fitted three soft tyres and a medium tyre! I don´t remember any other case when something like this would have happened! Naturally you can´t mix the tyre compounds so Bottas had to face the inevitable: a drive-through penalty, which dropped the Finn down to P11. Sebastian pitted not until on lap 14 (the lap I first thought the pit stop roulette would start) and he rejoined the track on the white-marked medium tyres, After the first pit stops Hamilton was still leading the race with his team-mate Rosberg second and Perez third. Grosjean had made his way to P4, Ricciardo was 5th and Vettel 6th. At this point Kimi had made his way through the field and was in P9. Approaching the halfway point of the race Ricciardo´s RB11 suddenly came to a halt on the main straight due to a technical failure. Virtual safety car was deployed. Many drivers pitted for the second time including Massa and Räikkönen. Hamilton´s gap to Rosberg was 2,6 seconds at this stage. When there were about 10 more laps to go it was obvious that Sebastian was on a 1-stop strategy. His medium tyres seemed to be in a good shape according to the data. Grosjean in P4 was rapidly closing the gap to Sebastian as the Frenchman had a much fresher set of tyres at the end. The gap decreased tenth by tenth and suddenly Grosjean was already within DRS distance from Sebastian... I was expecting to see an intense and thrilling battle for the podium place but I never got to see one. On the second last lap Sebastian´s rear right tyre suddenly exploded right after Eau Rouge! It destroyed Sebastian´s race when a podium finish was already in the German´s reach! I don´t have any words to describe how gutted I was! 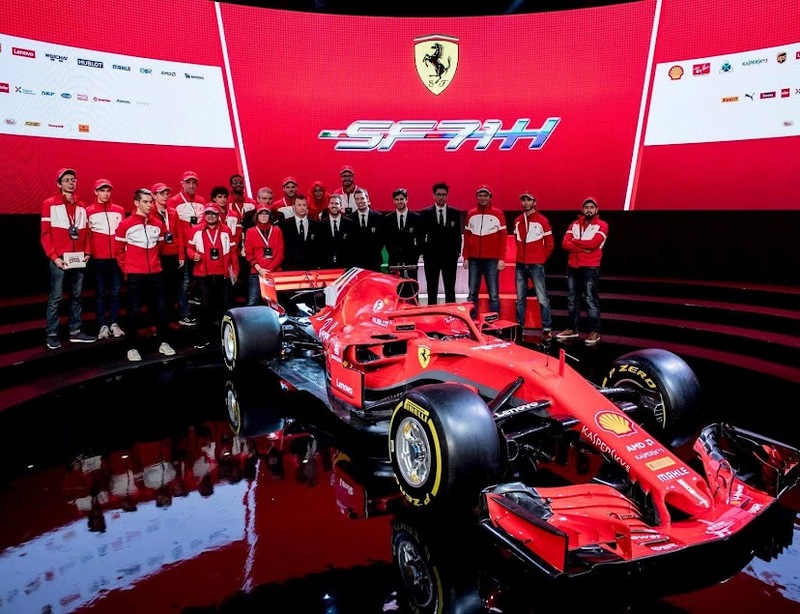 For sure it was risky tactics from Ferrari to try a 1-stop strategy but according to Pirelli´s estimations the medium tyres should have lasted for around 40 laps and Sebastian´s tyres were only 28 laps old... If only the race had been a lap shorter! It was such a hair-raising and devastating moment! After the race I had to cool down my emotions and jump into a lake for a swim ;) I needed some time to get my thoughts together before writing this blog post. At the same time Kvyat at the wheel of his Red Bull was storming through the field on the fresh set of soft tyres and the Russian had made his way up to P5 towards the end. On the closing lap Kimi was in P7 and Toro Rosso´s Verstappen was right at the Iceman´s tail. The Dutchman tried a brave overtaking move and got past Kimi for a moment but then went wide and Kimi snatched his position back. Verstappen seemed to be on fire today as he definitely didn´t hesitate to make overtaking moves, which were very enjoyable to watch. Hamilton has now increased his lead into 28 points in the drivers´ championship standings and due to the misfortunate puncture Sebastian is already 39 points off Rosberg. But the battle continues at Monza in a fortnight and I know Sebastian isn´t going to give up until the world championship becomes mathematically impossible! In spite of being absolutely gutted for Sebastian´s puncture there were a few reasons for joy as well: I was happy about Kimi´s self-confident and impressive driving and Verstappen´s crazy but brave overtaking moves! ...Roll on Monza!